On 18 Jul 1908, Colonel Sir Lees Knowles, Chairman of the East Lancashire Territorial Army, was presented with a golden key with which to ceremonially open Colne’s new Ambulance Hall. 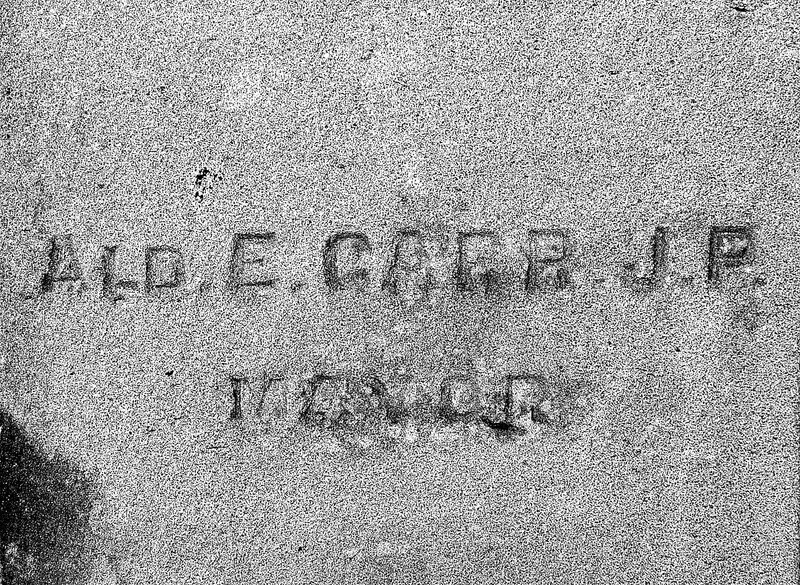 The foundation stone, with a cavity containing a copy of the Colne and Nelson Times, a list of trustees and committee members, a copy of the annual statement and a programme of the day’s events along with “certain silver coins”, had been laid by the town’s Mayor, Alderman Edward Carr, almost a year to the day earlier on 20 Jul 1907. Both the laying of the stone and the opening of the completed hall were big days for the town. The former was preceded by a parade which included local ambulance brigades, “Nursing sisters of the various sections in their dainty caps and gowns”, and horse drawn carriages of local worthies. By the time the fun began and first stones were laid with silver trowels, £1000 of the expected total cost of around £1500 had already been raised. There was obviously widespread support in Colne for St John Ambulance and understandably so in these days before a state-provided ambulance service. In his speech, Mayor Carr thanked the Colne Brigade for “the kindness they had shown to old and infirm people in taking them to the infirmary. 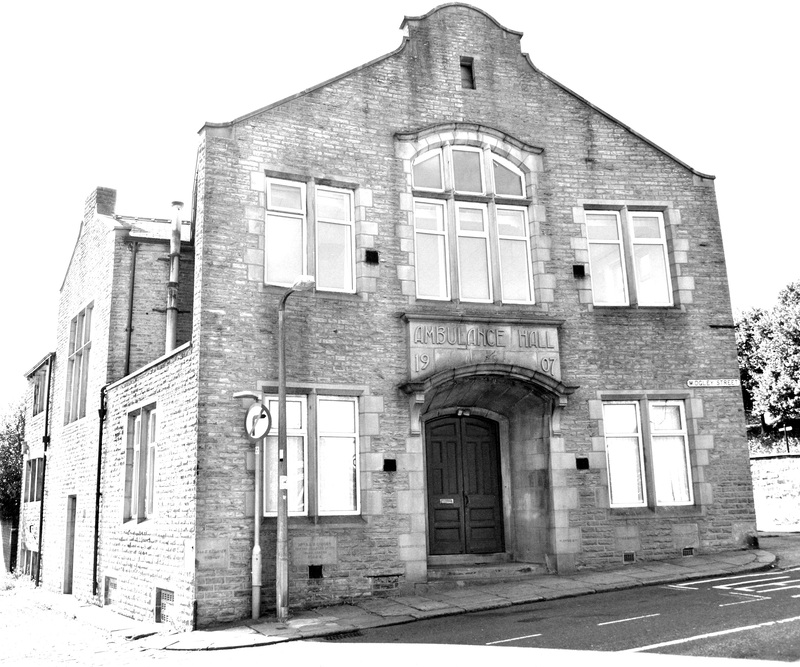 They had saved the Burnley [Poor Law] Union many scores of pounds and the Board of Guardians owed a tremendous debt to the movement.” To accommodate their work, the hall was to have a large entrance hall, a reading room, a ladies room, a lecture room, a band room, a storeroom and a large drill hall. There were more celebrations in advance of the hall’s opening a year later, with another large procession which took in most of the town (the only lady in the 4 carriages of bigwigs was Mrs Elizabeth Taylor). As he surveyed the scene during his speech, Mayor Carr commented on the transformation of Swan Croft over the course of a few years. It had been “once a happy gathering ground for the children at the annual fairs – the scene of merry-making and laughter where the children enjoyed themselves on swing-boats and merry-go-rounds”. Now, it was “a sphere of usefulness”, with the ambulance hall the latest addition to the auction mart and West Street Schools. The foundation stone for the new Inghamite chapel had been laid a few months later, the new Public Baths would be begun before the end of his mayoralty and the Salvation Army barracks would soon be complete. It is not surprising than that when war broke out 6 years later, members of the Colne Brigade were soon on their way to France. This entry was posted in special occasions and tagged colne, history, st john ambulance. Bookmark the permalink.